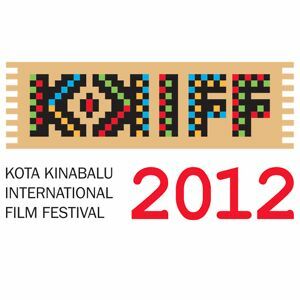 The fourth Kota Kinabalu International Film Festival (KKIFF) will be held here from June 8 to 14. The event, jointly organised by the Society of Performing Arts Kota Kinabalu, Sabah (SPArKS) and Sabah Economic Development and Investment Authority (Sedia), in collaboration with the Alliance Fran?aise, the Japan Foundation and the Goethe-Institute, would comprise three main programmes. These programmes are the International Movie Nights, Sabah Film Forum and the Links5 'Filmmakers' Competition and Highlight Screening which will take place at the Golden Screen Cinema (GSC) Suria Sabah and Novotel Hotel at the 1Borneo Hypermall. SPArKS President, Cheong Kok Ann, said the event is also expected to spur the tourism industry, as visitors from all over the country as well as Asia might also be interested to witness the festival. In this respect, he said five foreign films including movies from France, Japan and Germany (all with English subtitles) will be screened. "The opening night on June 8 begins with an award-winning French drama 'Welcome' by director Philippe Lioret and will wrap up on June 14 with a (expected) Japanese comedy entitled "Double Trouble", a film by Joji Matsuoka. "The other films are French movie 2, Le p?re de mes enfants (Father of My Children) by director Mia Hansen-Love, with the French Embassy Cooperation, Scientific and Cultural Counsellor to make an appearance on Monday. "On Tuesday, we'll screen a German movie entitled Lila, Lila (My Words, My Lies - My Love), a film by Alain Gsponer while on Wednesday, Japanese movie 1 (Anime) Mai Mai Miracle, by Sunao Katabuchi is also expected to be screened," Cheong said. "It brings to the people of Kota Kinabalu exciting opportunities to watch different international and local films while meeting up with film and movie lovers in the city," he said, adding that tickets are priced at RM5 per screening. Meanwhile, project leader, Jude Day said the second Sabah Film Forum will be held on June 9 and 10 in Novotel. "There will be five workshops, Workshop 1: Putting it all together - the Producer, Workshop 2: "Links5" Highlight Screening, Workshop 3: Shooting a movie - the Cinematographer, Workshop 4: Story-telling, and Workshop 5: Scriptwriting. "Invited workshop moderators are experienced directors such as Hassan Muthalib, David Ngui (from Sarawak), Genevieve Duis (from Sabah), Jeffri Mohd Yusof and Sheron Dayoc (from the Philippines). The forum is open to all and registration is free," she said. "Apart from that, short film submissions from Malaysian filmmakers are also welcomed, whereby later a selection of these will be shown for free on June 10 from 7.30pm to 9.30pm, at the Malaysian Short Film Showcase session. "There will be a question and answer session after the screening of each short film so audiences can learn more about what each director was trying to convey through their work," Jude said. The public can visit the festival website at KKIFF.com for a complete schedule of all films and events, or contact Jude at 014-3514298, or Project Executive Forrest Yan at 013-8650688.